I've got to be honest, when it comes to body care, I'm quite a lazy bum! However... when I find something I really enjoy using, that doesn't break the bank, that does exactly what I'm looking for and more its a whole different story, and with Summer on the way and the chance that I may be exposing more skin than usual I like to make sure I'm all moisturised and Summer ready and I have found something that I just adore... Say hello to Soap & Glory's Body Buttercream from the Sugar Crush Collection. 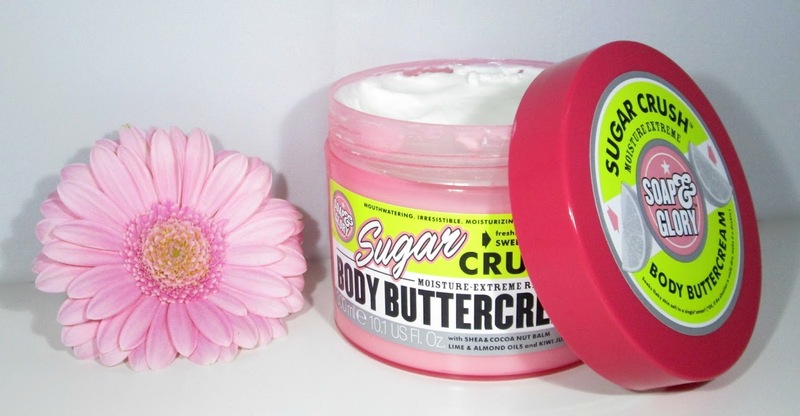 Soap & Glory's Body Buttercream is part of the popular 'Sugar Crush Collection' which consists of a Body Wash £6.50, Body Scrub £8.00 and of course the Body Buttercream £10.50 which is what I'm reviewing for you all today. Firstly let me start by saying just how amazing the Sugar Crush scent is, it's so sugary sweet and packs a powerful lime punch ha ha. Also as the body buttercream is loaded with shea and cocoa butter, almond and coconut oil, a super refreshing triple whammy of lime oil, kiwi juice water, and smoothing lime tree blossom extract you can only imagine how nice it smells. Personally I think the citrus twist is great, it's extremely re-energising and wakes you up a treat when used in the mornings he he, I never find it overpowering or sickly either. 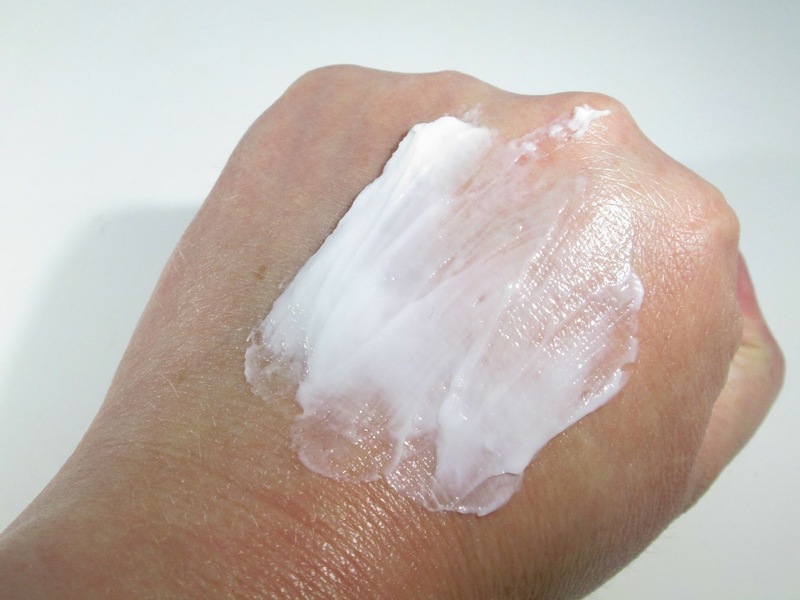 The body buttercreams consistency is extremely thick, actually luxuriously thick so it's fantastic for us girlie's with very dry skin, for knees and elbows and generally for any of us beaut's who want gorgeously soft, moisturised skin. I like to apply the body buttercream to slightly damp skin when I've just gotten out of the bath or shower, it just feels like such a treat and is now an automatic thing that I do straight after bathing, of course it feels just as nice to slather the buttercream onto dry skin and moisturises just as well but I just prefer rubbing it into my dry skin. As the consistency of the buttercream is so thick I did worry it would take a super long time to absorb into my skin but I was pleasantly surprised as it seems to just melt into my skin beautifully and absorbs very quickly, so thankfully you don't have to stand around for ages waiting for it to dry! The moisturising feeling doesn't wear off quick either, my skin honestly feels super soft and moisturises all through out the day and I always get hits of the Sugar Crush scent during the day to which is lovely. 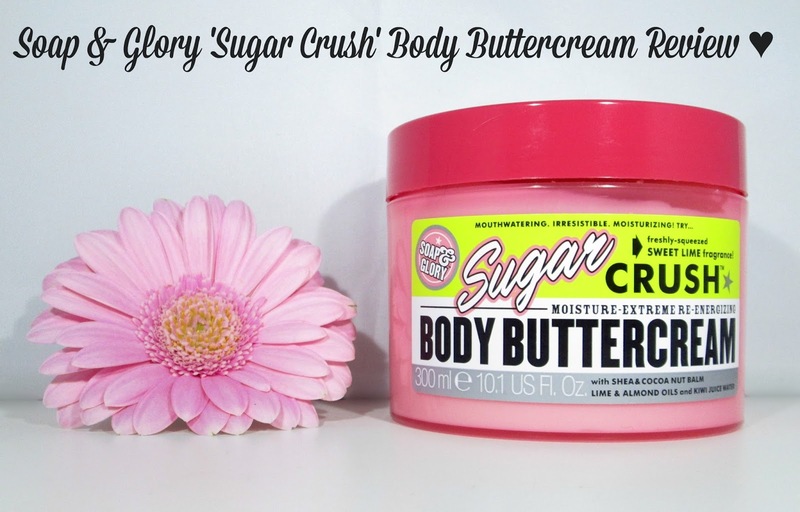 Overall I absolutely love this body buttercream, its something I enjoy using and doesn't feel like a chore to apply and whether you use the Sugar Crush collection all together or separately it feels like such a treat. Have you tried Soap & Glory's Sugar Crush Collection beaut's?? What product is your favourite?? I'd love to know. I love soap and glory products but I've never used any of their body creams, I'm definitely going to have to give this one a go now!